Happy Thanksgiving – Time to Shop??? Today I would normally share with you a holiday recipe, but I figured you already have your dinner plans and you don’t want to be cooking extra stuff, so instead I thought I would share with you some Black Friday finds, my favorite items and more. Lets get to shopping shall we. First up on my list is Bath & Body Works! I look forward to going here every Black Friday because they have the most ultimate VIP bag. It’s $20 with a $40 purchase and you know you can spend $40 easily in that store. But to boot, you can now buy the bag online, like right now! It contains $103 worth of products. Great for emergency gift giving. Next up is one of my new favorite finds. Good Belly. I love this drink. When I had a really bad stomach ache, this took it away. It’ s organic, lactose free, vegan and gluten-free. 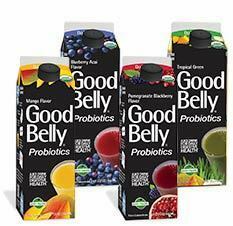 It’s made with natural Probiotics! I found it at Whole Foods, but you can buy it at your local grocery store. The Pomegranate Blackberry tastes amazing and would go wonderful in a smoothie. 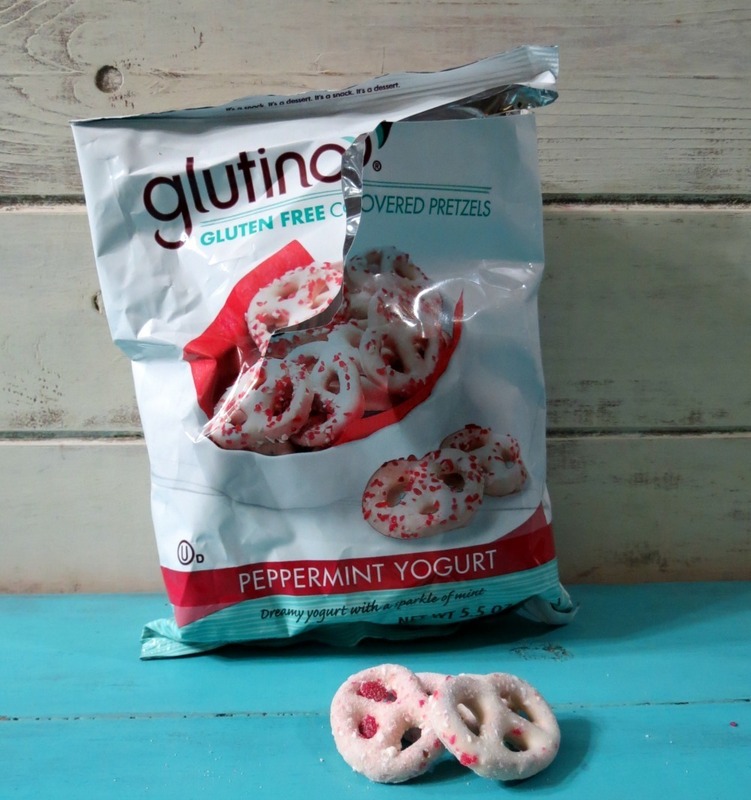 If you happen to be at Whole Foods, you have to pick up Glutino’s holiday treat. 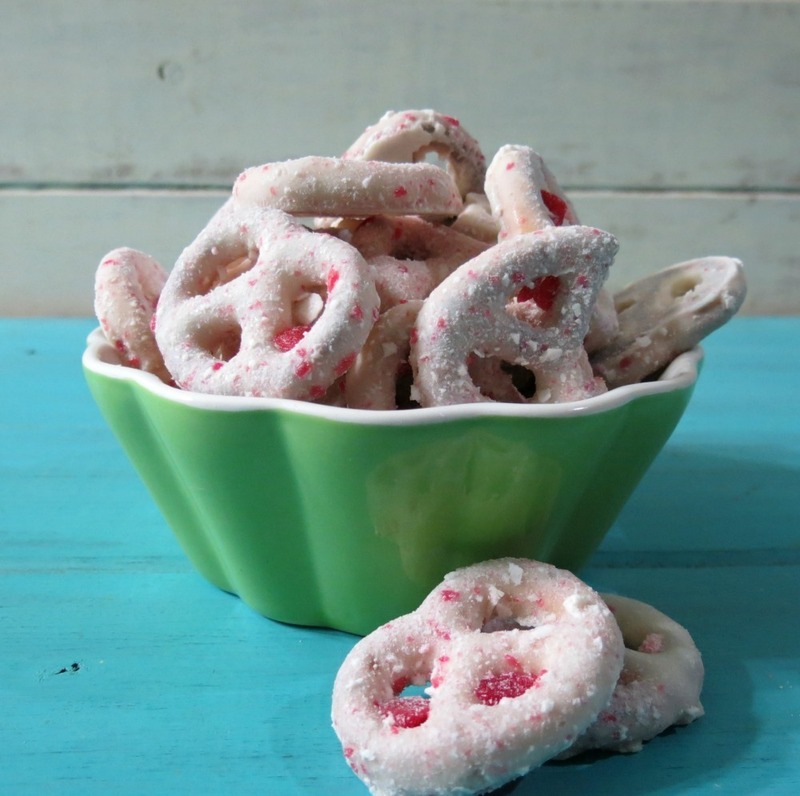 It’s yogurt covered pretzels with peppermint flavor. Oh my gosh it is so good. I kind of ripped the bag as soon as I saw it, I kind of couldn’t control myself. They would be perfect for serving at a holiday party. It’s a limited addition so pick yourself up a bag. Here they are in a bowl. I love Sephora and I could go crazy in that store. They have a $10 special at the store, while supplies last. They will be selling the following for $10. You can also check out Sephora’s Pintrest Page to see the goods! Target! I love my Target! I just don’t like going to big stores like this on Black Friday, but sometimes you just must. I had a lady actually run me over with a cart last year! You can see the preview ad here. Super Seedz! Have you Guys tried these? 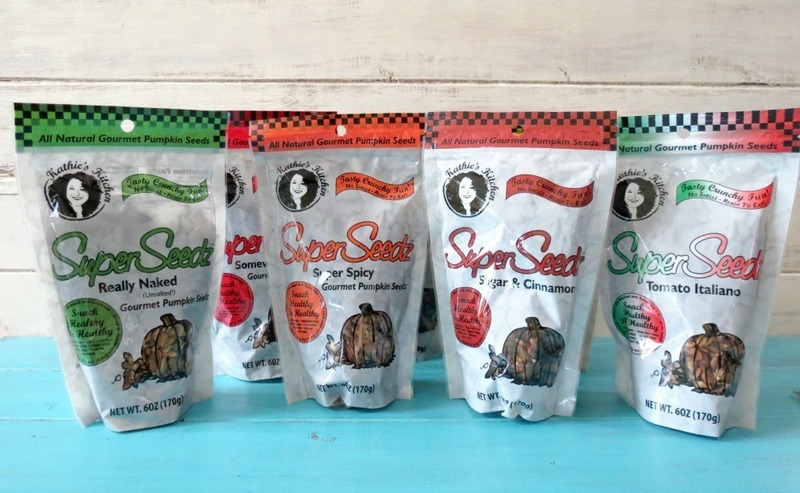 These are pumpkin seeds that come in a ton of different flavors such as Coco Joe, Curry, Sea Salt, Semi Spicy, Tomato, and Cinnamon Sugar. I love these and they are gluten free, vegan, dairy free, no additives or preservatives. they make for the perfect healthy snack and would make a great gift for the pumpkin seed lovers in your life. Buy a bag for yourself and or place them in a pretty bowl and serve around the holidays. I personally love the sugar and cinnamon ones!! You know I am all about coffee! Tamara from Puro Fairtrade Coffee was kind enough to send me a little package of fair trade coffee to try. I couldn’t wait to brew my first cup. It’s light, smooth and perfect for my morning or an afternoon pick me-up. My Husband loved it! He took a bag to work and couldn’t wait to share it with his Friends. 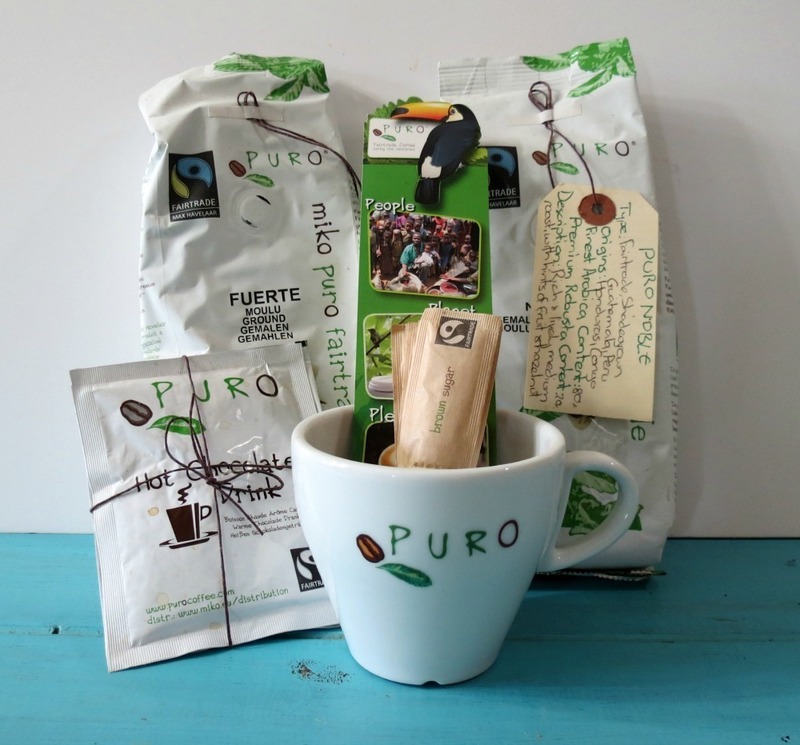 Did you know that each purchase of Puro Fairtrade Coffeea portion of it goes towards saving the rain forest in coffee producing countries. You can watch a short video here! Plus I love that it is organic! Thanks Tamara for sending me some coffee. We love it and have shared it with all of our Friends. Macy’s is having a big doorbusters! Such as $19.00 Rampage Boots, small home appliances for $10.00 after $10.00 rebate, Kitchen Aid big mixer for $199, regularly $349. 60% off tree trimmings, Mens suits for $99, $10 slippers, 60% off designer coats. My gosh the whole store is on sale. Why don’t you look for yourself? Here is the ad. The GAP! I love the Gap! There clothes are all comfy and warm. Here are some GAP scoop. 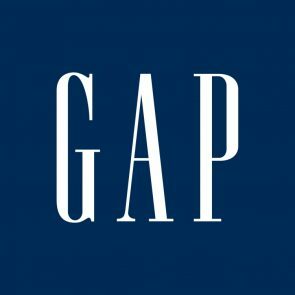 The GAP will open its doors noon-5 p.m. Thursday, Nov. 28 Thanksgiving Day to offer customers some amazing deals for their holiday shopping. On Black Friday, the store opens at 7 a.m. and closes at 9 p.m. Some of the deals include 60 percent off select styles in all departments such body, women’s, kids’ and baby. T-shirts are $10 and under; some are regularly priced between $14.95 and $34.95. Do you like making crafts? Michaels is having a big doorbuster sales! They have Christmas trees, ribbon, candles, storage, photo boxes and more. You can see the ad here, plus you can get coupons here too!! I thought this was pretty cool! 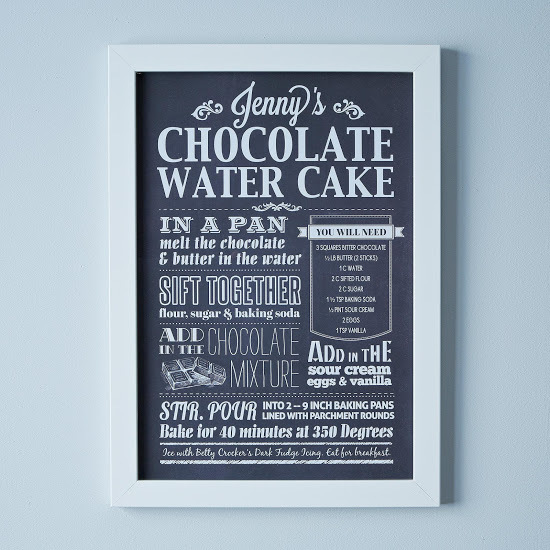 You take your favorite recipe or a family heirloom recipe and have it framed. 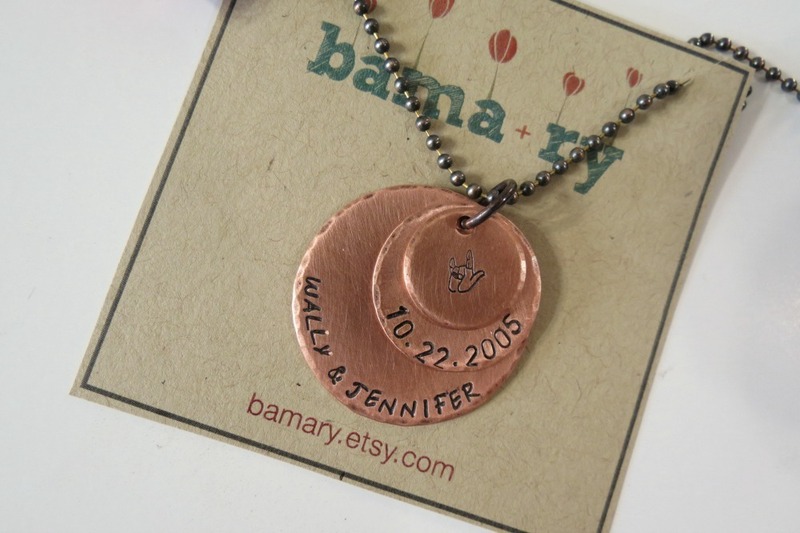 This would make a great gift for someone or for yourself. Do you have a recipe Mom gave you that you love? Have it printed up. You can get this at Food 52 Provisions. I want to have this done, just not sure what recipe. Thinking Mom’s Apple Crisp! Kohls! There ad is HUGE!!! Biggest I have seen this year. They have over 800 kids items alone on sale. Crazy! I can pretty much tell you the whole store must be on sale. You have to see for yourself. There is just too much to list. Here is the ad. Here are a few stores that have great deals all of the time and some have Black Friday offers but I am not sure what they will be. I guess we will be surprised! TJ Maxx / HomeGoods – I can live in this store, they everything for everybody, plus great deals. 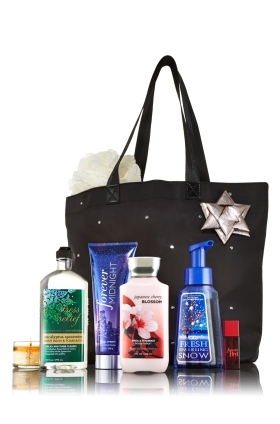 Victoria’s Secret – They always have Black Friday door busters, just not sure what they will be this year. Home Depot – Huge sale on appliances and tools for the fixer upper in your life or me, I like shiny new appliances. Williams – Sonoma – I love this store and I am not sure what they will having on Black Friday, but they have deals all of the time. Cost Plus World Market – This store is nice for gifts, stocking stuffers and more. They usually have some nice door buster sales on Black Friday. 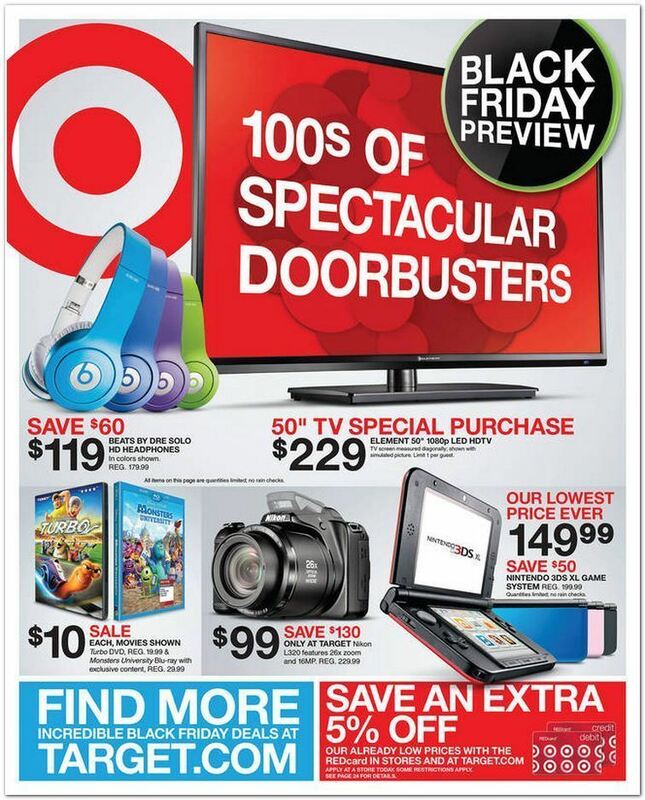 Walmart – They have some awesome Black Friday sales, but I skip it because the store is way to crazy for me. I prefer Target! Chili’s restaurant – This is a great deal if you already eat at chili’s get a FREE $10 gift card when you purchase a $50 gift card, makes a great Christmas gift. Or, one good way to go out to eat. Red Lobster Black Friday Meal Deal: Free Maine Lobster Tail with the purchase of any adult dinner entree. Offer valid on Friday, 11/29 and a coupon must be presented at time of purchase. Coupons are available on Facebook or by signing up for Red Lobster’s Fresh Catch Club. Red Lobster Cyber Monday Offer: Buy $100 worth of e-gift cards on www.redlobster.com on Monday, 12/2 and receive a “thank you” coupon for $25 off any two adult dinner entrees. Thank you coupons will be mailed to e-gift card purchasers and are valid from January 1 – February 9, 2014. LongHorn Black Friday Meal Deal: Buy one LongHorn lunch combination and get the second lunch combination half-off. Offer valid on Friday, 11/29 from 11 a.m. – 4 p.m. Dine in only. A coupon must be presented at time of purchase. Coupons are available onFacebook or by signing up for LongHorn’s Hospitality Club. LongHorn Cyber Monday Offer: Purchase a $50 e-gift card on www.longhornsteakhouse.com on Friday, 11/29 through Monday, 12/2 and receive a thank you coupon for $10 off two adult dinner entrees. Thank you coupons will be mailed to e-gift card purchasers and are valid for dining visits on January 1 – February 9, 2014. ShopStyle – All the discount codes and coupons you need for shopping online. This is an awesome site! Well I think that’s it! If I find anything else I will let you know. So will you be out on Black Friday? I know Jenny and I are supposed to go shopping, but I shop for her on this day, so I’m not sure what were going to do. She did mention going to a movie! From my family to yours we wish you the most fabulous Thanksgiving ever! Full of Friends, Family and good food! P.S. 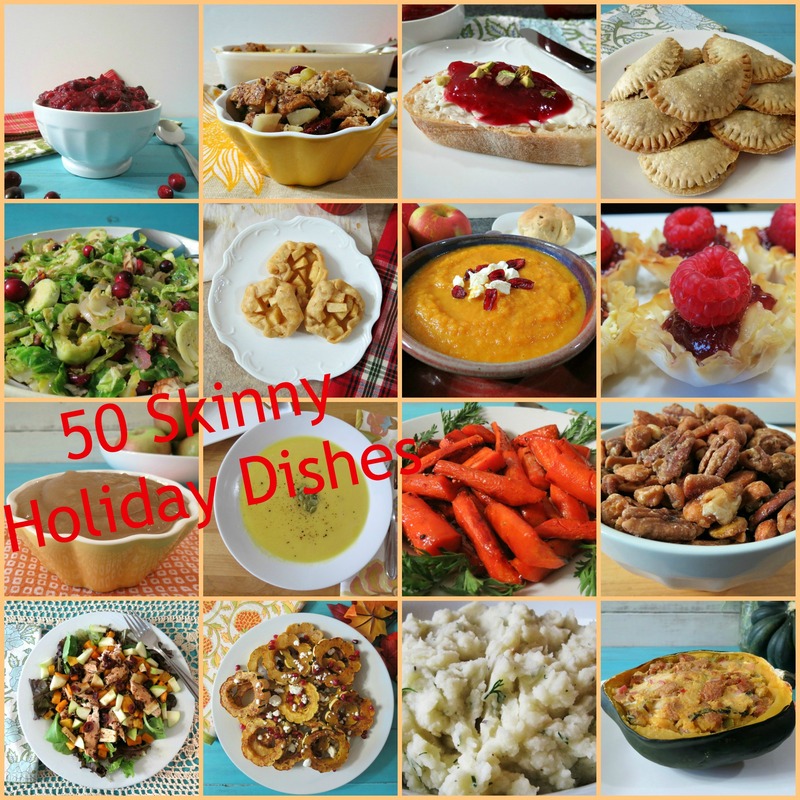 If you are still looking for holiday recipes to make today, don’t forget my post of 50 Skinny Recipes for Thanksgiving. Plus my Thanksgiving helpful tips and tricks. Please note; all of these items, unless noted, are things I found on my own and no one paid me anything to say my thoughts. These are just things I like! Happy Thanksgiving Kammie! I hope you have a wonderful day! !